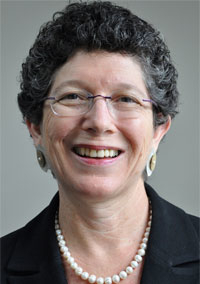 Carol Brosgart, M.D., is the new chief medical officer and senior vice president at Children’s Hospital & Research Center Oakland (Calif.). Brosgart, 58, was previously vice president of clinical research at Gilead Sciences, in Foster City, Calif. She retired from the biotech company in July 2009 after 11 years. Prior to that, she was medical director of the East Bay AIDS Center at Alta Bates Summit Medical Center in Berkeley, Calif., for 12 years. The CMO job at Children’s Hospital Oakland was eliminated in 2008, but has been reinstated, a hospital spokeswoman said. “Dr. Brosgart understands how public health policies affect the delivery of healthcare and is a tremendous advocate for access to quality care for everyone,” says Bertram Lubin, Children’s president and CEO, in a written statement.